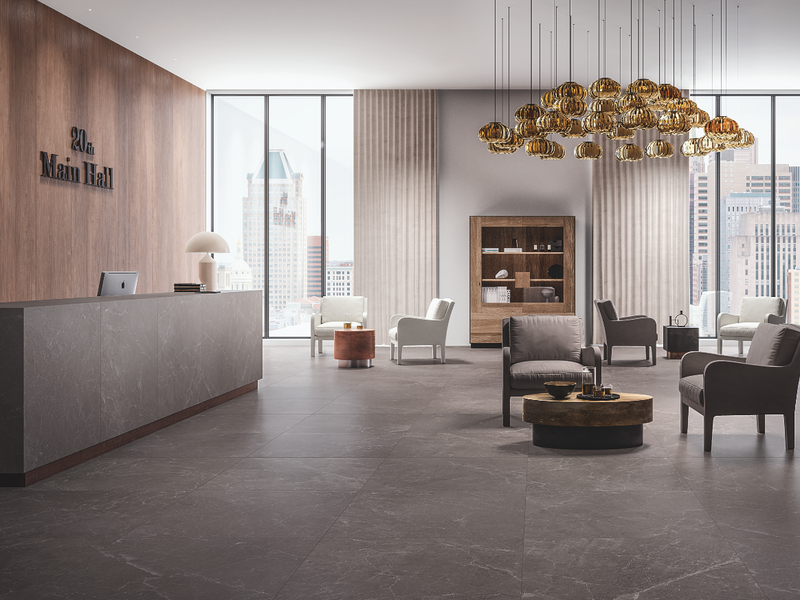 Exedra, a collection inspired by marble and natural and precious stones, as well as the existing finishes – Calacatta, Albis, Amadeus, Estremoz, Marfil, Travertino and Pulpis – now has the new Rain Gray, Onix Perla and Onix Extra and Riverstone. 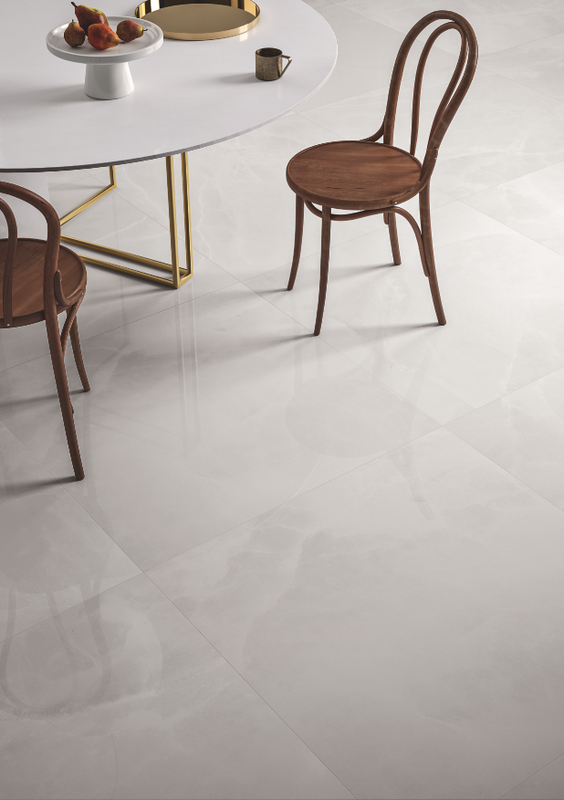 Evolving from a passion for marble and research at the most prestigious quarries, the Exedra series offers a selection of finishes made using the innovative enamel spray technology, and is characterized by the utmost fidelity to original stone and by the huge range of designs that makes each product unique. The marble veins are made with great precision and three-dimensionality that conveys a very strong visual sense of depth. 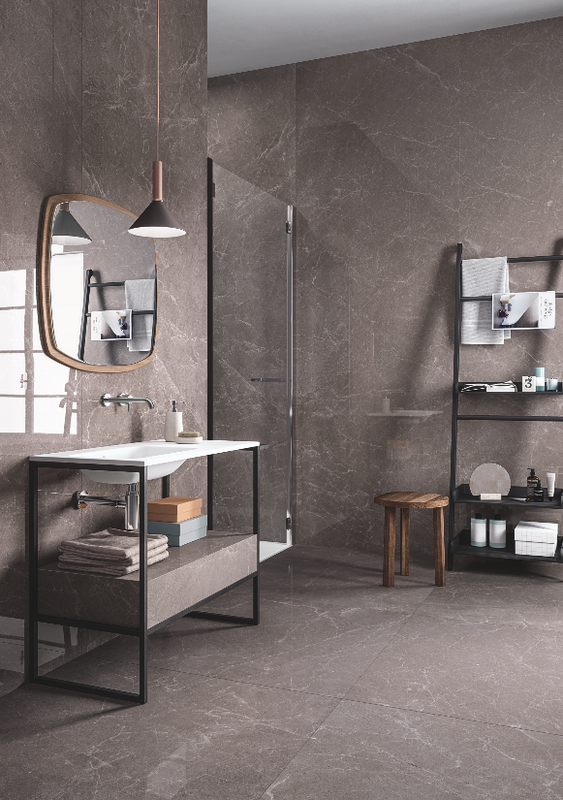 The Glossy version also uses a process that produces all the splendour of glossy reflections of mirror-smooth, marble surfaces.